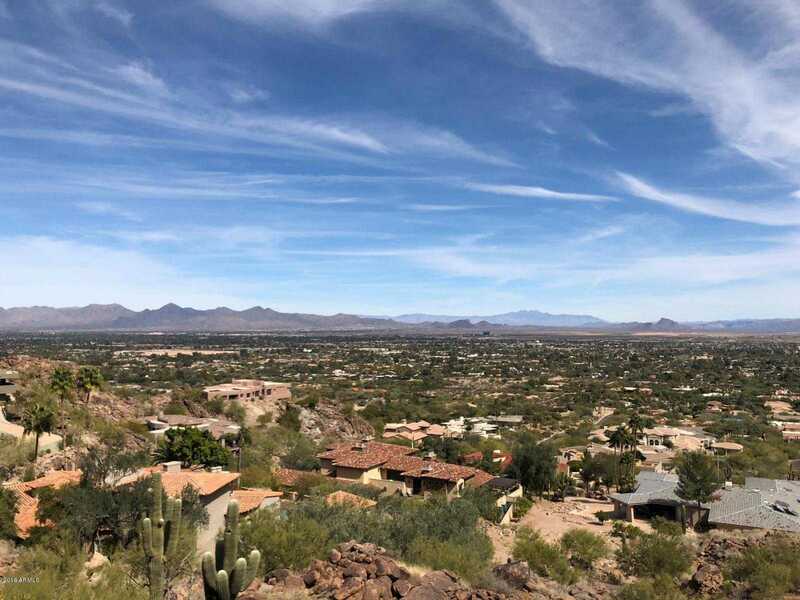 Large FLAT lot at the top of Camelback Mountain ready to build your SINGLE level dream home with a huge yard and breathtaking mountain & city light views! Perched near the summit of Camelback Mountain on a private road, walking distance to Downtown Scottsdale. One of PV’s best mountain locations with a flat driveway, huge yard, near hiking trails, golf, fine dining, resorts & entertainment. Unparalleled mountain views of Pinnacle Peak, Superstitions, Four Peaks, Camelback & Mummy. Come experience the exceptional views today!